The 14th Annual Podcast Awards is open to podcasters worldwide. Registration for the 2019 Podcast Awards will open on January 18, 2019. The Podcast Awards has been honoring podcasters since 2005. The Podcast Awards are open to all shows globally. Shows from around the world are encouraged to participate. The 14th annual Podcast Awards has some new rules and has released an official timeline. The 2019 registration window is January 18, 2019, through July 31, 2019. Be aware that the listener nomination period opens July 1, 2019, and your show will not be added or shown on the nomination page until you register. 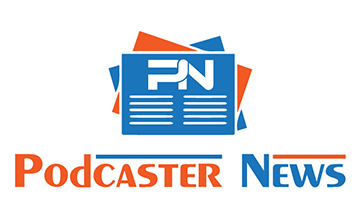 Any show podcasting on or before July 1, 2019, with a minimum of 10 published episodes is eligible to be nominated for the 2019 Podcast Awards. Legacy Shows as listed on the Legacy Page are not eligible to win a podcast award. If a legacy show has not yet won a People’s Choice Podcast Award the show will automatically be registered to participate in the People’s Choice Category. All registered shows will automatically be eligible to be nominated in the People’s Choice Category. Any show wishing to be eligible to be nominated can register via the registration page until the nomination closing date and pay via PayPal the $20 registration fee. Podcasters can, and should, provide instructions in their shows and on their websites instructing their audiences on how to register and nominate their podcast. This is allowed and encouraged. Expressly forbidden are automated programs, web assist templates that interact with the Podcast Awards site, web overlays, bookmarklets, and no nomination tool or macro is allowed. The podcast committee reserves the right to amend forbidden activity details at any time throughout the awards process. The winners of the 2018 People’s Choice Podcast Awards have been revealed! The announcement was made during the International Podcast Day Live event. The Podcast Awards is an international event open to all podcasts in all countries regardless of language. The 13th Annual Podcast Awards Listener Nominations period is now open. The Listener Nominations period will remain open until July 31, 2018. You can sign up now to nominate your favorite podcasts by filling out a form on the Podcast Awards website. Email verification is required. There is a separate login for people who already have an existing account. The nomination page will remain online until July 31, 2018. You can start filling it out, and then come back to it later and finish your favorite show nominations. Show registration will also remain open until July 31, 2018. 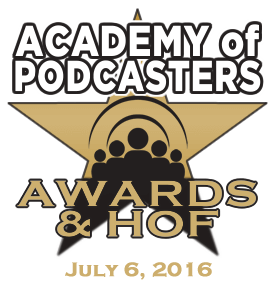 Podcasters must be registered in order to be nominated. There is a registration fee of $10 per show. The purpose of the registration fee is to make Podcast Awards self-sustaining. Awards Ceremony: September 30, 2018. The 13th Annual People’s Choice Podcast Awards has opened registration for those who would like to have their podcast considered. The 13th Annual Podcast Awards Ceremony will take place in September of 2018. In order to register, you must fill out the Show Registration Form on the Podcast Awards website. It is very important that you fill out the registration form correctly. Failure to do so could result in a mis-print of your trophy. This Registration Form is for podcasters, only! The Podcaster Registration period will run through July 31, 2018. There is a registration fee of $10. The registration fee assures the ongoing support and further development of the Podcast Awards website. It also assures that there will be trophies for the winners who actually want to participate. Podcasters who register for the Podcast Awards can and should provide instructions in their shows and on their sites instructing audiences on how to register and nominate their podcast. Be aware that the listener nomination period opens on July 1, 2018, and your show will not be added or shown on the nomination page until you register. The winners of the 2017 Podcast Awards have been announced. There is a video of the 2017 People’s Choice Podcast Awards ceremony available on the Podcast Awards website. It includes short videos from the podcasters who won. Registration for the 13th Annual Podcast Awards will open on January 15, 2018. The 12th Annual Podcast Awards has relaunched with a new website for 2017. There have been some big changes since last year, including a complete rewriting of the rules. The GoFundMe for Podcast Awards has been updated with new information. The new rules represent the most extensive changes in the history of the Podcast Awards. The changes were made based on input from hundreds of podcasters. The goal of Podcast Awards is to make minor tweaks as they go and hope that the awards process will satisfy the majority of podcasters who have supported them over the years. It is now possible to see a list of past winners of Podcast Awards for every year from 2005 through 2016. This is something new that has been added to the website. There is also a list of Legacy Shows that are honored for their excellence in podcasting and who have won a Podcast Award a minimum of five times. Legacy Shows that have never won a People’s Choice Award are still eligible for that distinction and are automatically entered into the People’s Choice category (and are not required to register). The People’s Choice top Award has been renamed to honor the Podfather of Podcasting. It is now called The Adam Curry People’s Choice Award. Any show podcasting on or before July 1, 2017, with a minimum of 10 published episodes is eligible to register and be nominated for the 2017 Podcast Awards. All registered shows will automatically be eligible to be nominated in the People’s Choice Category. Any show wishing to be eligible to be nominated can register via the registration page until the nomination closing date and pay via PayPal the $10 registration fee. Shows that do not register are not eligible to participate. The registration fee is not-refundable. The biggest change to the Podcast Awards is that there is no longer any daily voting by the public at large. The Podcast Award Committee will invite journalists, podcast thought leaders, legacy podcasters, sponsors and individuals of the committee’s choosing to vote, not to exceed 50 participants. Through random selection, 50 of the 2017 registered podcasters will be asked to review and vote with a backup pool of registered podcasters to ensure 50 podcasters cast ballots. Through random selection, 250 registered listeners who volunteered to vote during registration will be asked to review and vote with a backup pool of registered listeners to ensure 250 listeners cast ballots. Podcasters can and should provide instructions on their shows and sites instructing their audiences on how to register and nominate their podcasts. Expressly forbidden are automated programs, web assist templates that interact with the Podcast Awards site, and web overlays. No nomination tool or macro is allowed. Last Sunday, the 2016 winners of the Peoples Choice Podcast Awards (commonly referred to as the “Podcast Awards“) were announced. Award winners were unveiled during a live-streaming video presentation, as has been done in past years. The presentation itself went down with minimal issues. But just after the awards were given out, a bit of controversy came into play when it was determined that a specific group of podcasters had used a special web tool to encourage their listeners to vote for specific shows. Podcast Awards winners are decided by a weeks-long voting content that asks the fans of awards-nominated podcasts to go to the Podcast Awards website and vote for their shows. There was some confusion when it was discovered that a fan of the Diamond Club podcast network had devised something called #HattingTheSystem that directed its users to vote specifically for Diamond Club shows. It was unclear at first whether or not the Diamond Club’s web tool actually violated the Podcast Awards anti-cheating rules. But upon further review, it was determined that the web tool wasn’t auto-filling the Podcast Awards voting form. It was only directing voters to find the shows that Diamond Club was supporting in the different awards categories. It was then decided that all winners would be allowed to stand. 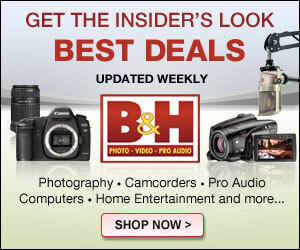 Disclosure: Peoples Choice Podcast Awards founder Todd Cochrane is the Executive Editor of Podcaster News. Summer is fast approaching and it’s apparently become the season of podcast awards. Two different podcast awards competitions, the Peoples Choice Podcast Awards and the Academy of Podcasters Awards, both recently announced the nominees for their respective award categories. While there may be some minor overlap between the two awards systems, they both work differently and completely independent of each other. Just like the nomination process, the Peoples Choice Podcast Awards winners are determined via online voting, which officially open Sunday, May 29th. Academy of Podcasters Awards winners will be announced during a ceremony on Wednesday, July 6th in conjunction with the Podcast Movement conference.